I always wanted to use cloth diapers when we had a baby. 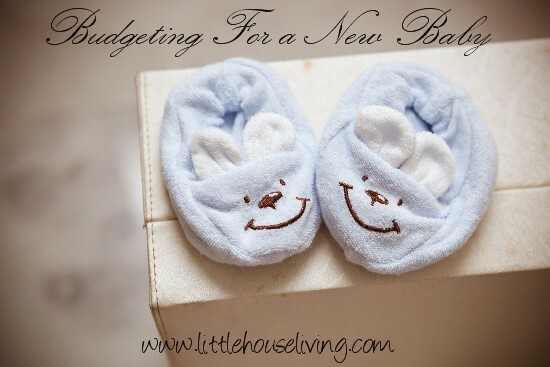 I just figured they fit right into our frugal lifestyle and they were so cute! I already had used homemade cloth pads so the “gross” factor was not there for me . So I started researching the various kinds of diapers that you could purchase (Fitted, Pockets, All in Ones, All in Twos, Covers, ect) and then a little about each brand. There is so much information out there it’s overwhelming! What I did discover though, is that cloth diapers can be very expensive! Cheap cloth diapers seemed to be an unreachable goal. Yes, generally any new endeavor has some kind of upfront cost but I saw some diapers selling for us much as $50! (With an average cost of $25 per diaper) Shopping the cheap diapers at the store would get me a whole package of about 45 for $7 so why would I spend that much on cloth diapering. I decided my goal was going to be to spend $5 per cloth diaper, and no more than $7 for a diaper. Here’s how I did that and some other ways I keep my cloth diapering costs down. Buy Used. Check out sites like Diaperswappers.com (I buy lots of diapers there!) where you can buy used (and sometimes new) and cheap cloth diapers from other moms. There is nothing wrong with used diapers as long as you find out if they have been well taken care of, and generally cloth diapering mama’s take good care of them. Make sure the diapers have been washed in a cloth diaper approved detergent and sunned regularly. Buy Fixer-Uppers. Watch garage sales, Facebook sales, and diaper swapping sites for posts with fixer-upper diapers. These are diapers that are in decent shape but need either new elastic, or new velcro, or something similar. If you are handy with a needle and thread these might be a great option for you. Make Your Own. I’ve tried this option and it’s not my personal fav but it does work, especially if you are going to be mainly using prefolds, fitteds, or covers. Read my post here on my cloth diaper making experiment with suggestions on patterns to use. Buy Cheapies. Some mamas might frown at this one but this has been my greatest source of success with cloth diapers, cheap ones! I purchase cheap cloth diapers from Ebay, or from Alva Cloth Diapers for right around $5 for a new diaper plus insert (or less!) These have been working excellent for us (and we’ve had a tough time finding diapers that fit right because of baby’s skinny legs) and they are cute! Skip the Expensive Detergent. Some of the cloth diaper approved laundry detergents are just too expensive (Charlie’s, Rocking Green, Tide Free and Clear). But it is important that you still buy a good detergent otherwise you will have a problem with build up on your diapers and they won’t last long. My favorite detergent is Country Save. It’s cheap, hypoallergenic, and works great not only for your cloth diapers but for all your clothing. Stop Stressing Over the Cute Factor. Chances are that you are going to cover that diaper right up with clothes anyways so don’t get too overly obsessed with looks. Sometimes we have to remember that the purpose of the diaper is to be a potty-catcher and nothing else! And if you do have plain boring diapers that you let your little wear without clothes in the summer, you can always dress it up with some cute baby leg warmers. I love those! Wash More. I read somewhere that the average amount of cloth diapers one mama has for one baby is 40 diapers. I only have half that many! To make up for it I wash my diaps every other day, or every 3 days. I don’t like them to sit longer than that anyways. We use almost all pocket diapers. I love that I can stuff them perfectly for regular use or naptime use and they aren’t super bulky. Plus they seem to be the most inexpensive option that works well for us. I also don’t have any special way to clean my diapers. I rinse them off in the bathtub and let them soak in an un-used sink until I’m ready to wash them. Maybe someday I’ll have a better set up but this has been working fine! 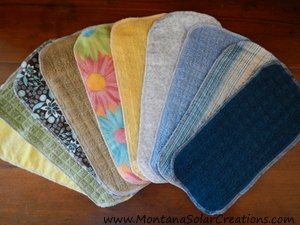 Save even more by making your own Homemade Cloth Wipes! Where do you find cheap cloth diapers? What questions about cloth diapering do you have? You really can still get white cloth diapers and use pins and rubber pants. These are much less expensive than the cute ones. If you are careful when you are pinning you will not poke your little one. My babies suffered more scratches on their tummies from my engagement ring than from any pinning accidents. I have diaper pins that are thirty years old, and I still use them to pin pairs of socks together so they don’t go astray in the laundry. I also still have some cloth diapers in my rag basket. How’s that for value? I so agree, Terri! And I still have cloth diapers my mom used on me (50+ years ago). Can I ask what do you line the diaper with? Poop was the problem to get family members on board, we tried the G Diaper liners but that left lint in his tush and more rashes then. I would love to be able to get the family on board even if my son is now 2 y/o. I never lined the diapers. I took them off, dumped the poo in the toilet and stuck the diaper in the diaper pail. 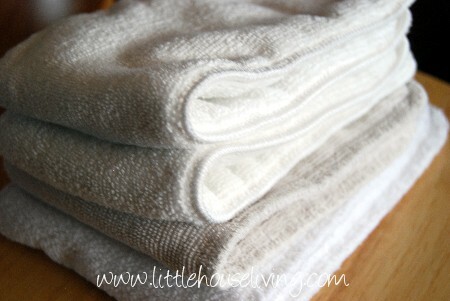 How do you feel about using plain baking soda and white vinegar to wash your laundry? My husband was having problems with itching and since we could not pin point the exact source I just started washing all of our clothes with a mixture of the soda and vinegar. So far so good on the itch situation, and I am actually quite pleased with the cleaning results too. Should I be concerned about build up, though? I do try to run the clothes through a second cold water rinse. From what I can it looks like the vinegar/baking soda combo is safe and effective for cloth diapers and it even keeps them from getting smelly! What is your ratio for this method? I tried cloth diapers for a while, and my husband decided it most definitely was NOT for us. So, we bought disposables for more than 25 years! 🙂 However, I realize it’s all the rage now. But I was curious about your comments about laundry detergent. Buying Charlie’s on Amazon is cheaper per load than Country Save on Amazon. I buy Charlie’s because it was highly recommended, works great (one small scoop) and is so much cheaper than anything else! It’s been well more than 1 year since I got my bucket, and it isn’t close to being empty, and we have still have 10 folks living in my house! Thanks for the great tips – I’ll remember your site if my daughter/daughter’s in law decide to go this route. I buy Country Save from Azure Standard and it’s MUCH cheaper than it is on Amazon! Oh, ok. That’s not an option here, but you linked it from Amazon, so I assumed that’s where you bought it. I used flats and rubber/vinyl pants for my kids but would’ve loved the neat ones they have now. Of course I could sew them repurposing some stuff for liners. 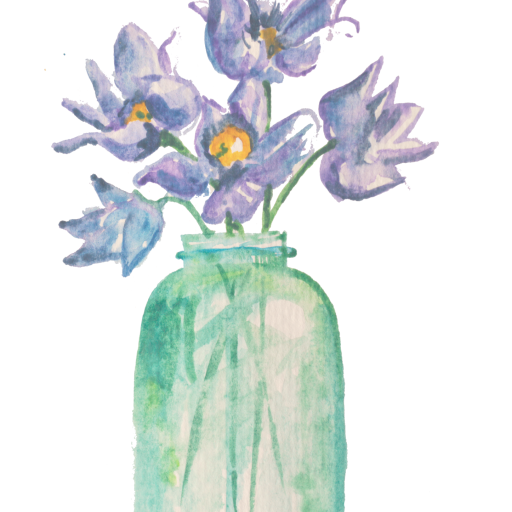 I want to make a few for grandkids someday as I won’t use those disposables that take 550 yrs. to decompose. I still have some of the flats for dust rags. They are 28 yrs. old. I had 2 kids in diapers twice and had 4 doz. only. I used the same rubber/vinyl pants if I had bought them new, but if they were used I had to replace some, they lasted through 3 kids and I resold some. I think as long as you cloth diaper you’re doing your chilkd and the environment only good. Kudos to all who cloth diaper. can’t imagine why all SAHM’s don’t use them, really no excuse not to. I cannot beleive I have gone this long not knowing about Alva baby. I buy most of my diapers used. It’s tough to know which you will like, will fit baby well and will be efficient in your home. We use a mix, but I also prefer pockets the most. Thanks for sharing all of this! And remember, although the initial cost can be high, you can resell them! Yes! I’ve been re-selling some of the ones we weren’t using and it’s great getting my entire investment back on them! I just love Alva diapers! I just got another order in the mail this week of the new ones with double gussets, they are awesome! We learned early on that gDiaper covers fit our baby best and they’re available used on ebay. I also found a bunch of them at Robb’s one day — jackpot! Here’s our method for cloth diapering: http://kansaslife.wordpress.com/2013/01/25/cloth-diapering-our-system/. I’ve noticed many online posts that make cloth seem so complicated. Like you said, though, it really doesn’t have to be such a big deal. http://www.joann.com/babyville-book-cloth-diapers-made-easy/zprd_11108966a/ This is the link to the book my mother used to make our cute and cheap cloth diapers. Thanks. I stopped cloth diapering my second because I couldn’t afford the AI2’s that were less bulky and Dad was more helpful in changing. Baby 3 hardly used the prefolds and covers we still had, but I think I can get some for my slim toddler to use until Baby 4 arrives. We are back in! Thanks for the info. I came across your site from Pinterest and wanted to share with you what diapers I am going to use 😉 I just bought my diapers from theluvyourbaby.com and in doing alot of research I found the kawaii brand diapers were just as good as the expensive diapers. The great thing about kawaii diapers is that they come with 2 microfiber inserts! I was able to get a total of 30 pocketed diapers (with the 60 inserts) and 24 prefolds with 6 covers and I only spent $190!!!! I have a rather unique problem that in raising 4 other children I never came across. My youngest is now 22 months old & we have been dealing with allergy issues pretty much since she was born. We think there is a dairy allergy, however we are now wondering if it is a diaper allergy instead. Doesn’t seem to matter how closely we monitor her diet or what brand diapers we use her bottom stays irritated & when it flares it blisters, bleeds, weeps & hurts. She’s miserable! I’ve thought seriously about cloth diapering her but with being so close to when she may be able to potty train (which would be best for her bottom) I didn’t want to invest a ton. I am NOT very handy with a needle & thread but hopefully some of your other options will work for us. Thanks for breaking it down on the cheap. Sara, we also have an issue with a diaper allergy on certain brands (only Luvs works for us for disposables). Our little buddy got a bad rash up his back when we used those certain brands, it was bad! I hope you can find some cloth to get you through until potty training! Sometimes it’s the chlorine in the disposables that irritate children, but why not go ahead and start training her, if you haven’t already? I’d just buy her those really thick cotton training pants, with the rubber liners to go over top. She’ll be more uncomfortable when wet in those which I find motivates them more to use the toilets than, say pull-ups. Since it’s getting warmer, I’d let her run around in the backyard, if you have a privacy fence, undressed from the bottom down. The sunshine and fresh air should help clear her bottom, and of course, you can just go ahead and put the potty out there, and when you see her start to go, have her finish in the chair, but you probably already know that. Good luck! All in all, I do VERY little work with cleaning since I also clean his clothes in the same load. I don’t pre spray anything or dunk anything yet in the toilet since his poos aren’t even solid and he isn’t on solid foods yet. I have yet to have a stain or stinky clothes or any residue left in my wash machine. I never run out of diapers and they are still holding up through the gagillion washes. We used disposables the first month and I have to say I greatly appreciate not having such smelly trash in my house nor having to lug such heavy trash to the trash bin with a 15lb baby strapped to my chest. I just came across this post and thought it was great for newbies. I’ve always cloth diapered and i’m on baby #3 now. I just wanted to add in that i have NEVER soaked a diaper. I have a pail with a wet bag that i put the diaper in after i take it off of baby. I take out the insert and drop in. As long as the baby is exclusively breastfed it goes in poop and all. Once baby starts other food i dump/spray with a diaper sprayer any solids in toilet. That way you could cut out the soaking step. I have 25 pocket diapers, and use flats and prefolds with covers. Another cheap and easy way to do cloth, is using receiving blankets as a prefold or as a flat. Super cheap and easy to wash. I always hang in the sun to dry, and when I sun bleach my diapers in the Summer (from northern Ontario) winters are to brutal to hang out then. I spray lemon juice and hang out for 3-4 days straight. Great tips, thanks for sharing your experience! thanks for sharing. Just want to ask about your experience with alvababy – are they good? As I dont see any reviews on alva online. And they have free shipping thru out the world ! I really like them. So much, in fact, that I sold all my other diapers and bought more Alvas to solely use those. They just fit my guy really well and they are so inexpensive. And yes, free shipping is awesome! I also like the inserts they come with. I use those for daily regular use and then I add a Fuzibunz Doubler with the regular insert for naptimes. Lol youre not an alva staff ya ?! Just kidding! I have a 4 wk old girl, about 8Ibs is it a good time to start cloth diapering or wait till shes chubbier ? Lol, nope I’m for sure not 🙂 She may be a little small yet but you could try. I think Alva sells Newborn size diapers too that may work. We didn’t start cloth diapers for a couple months after our guy was born and he was 5lbs at birth. I am new to all of this… I used disposable for my children and now have a 2 year old granddaughter and a grandson due in November. I don’t have the money that I use to have and NEED some other option to help my daughter save money. I have been saving since my daughter found out she was pregnant and I have $50… this does not seem to be enough to start … PLEASE help! $50 for cloth diapers at a place like Alva (alvababy.com) will get you 10 diapers. That’s plenty for a starter stash! We did cloth diapers with all five of our kids. We did use disposables for church and trips, etc. We used the plain old white Curity brand (do they still make those?) with vinyl pants. One major plus with cloth diapering is–Children potty-train MUCH faster with cloth diapers. They can make the association with a full bladder and then feeling wet and warm, thus uncomfortable. They don’t get the wet, uncomfortable experience with the super absorbent disposables. Thus, they have no reason to stop their play to get to the potty on time. In my 30 yrs. experience as a preschool teacher, I can definitely say that, in the beginning of my career in 1980, almost all kids were potty-trained or at least well on the way by young two’s. But by the end of my career 5 yrs. ago, we were seeing new-to-our program 4 yr. olds who could read, but were not potty-trained at all! Their parents had been duped by the diaper/pull-up companies’ ads. And pull-ups are really diapers, just without the velcro. We would immediately give the new kids a “bathroom buddy” who eagerly showed the reluctant ones how fun it was to be grown-up. Within a couple of weeks, those new kids were trained. Through the years, kids have not changed. It’s the parents who didn’t make a concentrated effort to potty-train. Keep using those wonderful cloth diapers and your child will be out of them in no time! And while they had the shaped, velcro kind with our kids, we never found any that actually fit and prevented leakage, like the old white cotton and vinyl pants. They both last for years and years, and we had our last kid 18 yrs. after our first kid, using many of the same old diapers. This is good to know! We’ve actually already started to potty train our 20 month old boy because he seems to be getting ready so maybe there is something to cloth diapered kids learning earlier! How does all of this work? I probably sound like an idiot, but I appreciate any help that you can throw my way. Prefolds are somethign that you will have to fold and then place inside the covers and put on. Inserts and doublers are for extra padding in the diapers. A pail liner and a wet bag are to hold the dirty diapers til you wash and Bac Out is a cleaning spray before you wash. Personally if you are just starting out I would try AIO (all in ones) or pockets (a diaper that you simply stuff with an insert). These are most like disposable diapers and are easy to use to get used to things. Then you could try more and see what you like using the best. We started with AIO and I liked the ease of use but not how long they took to dry so I ended up trying the pockets and liking them better. I hope that helps! I use BabyLand cloth diapers on my kids, and I get mine for about $4.75 per diaper on eBay. I also have to buy extra inserts because my kids have always wet a lot. Because of that, I have hard time getting rid of the ammonia smell in the diapers. I really can’t use boiling water because I don’t want to destroy the diapers. I make my own detergent using Biz, washing soda, borax and citric acid. Is there anything you can recommend for helping get the ammonia out of the diapers? Thank you so much! I use BacOut to get anything and everything out of our cloth diapers so you may want to give that a shot! It’s made by the company BioKleen. I’ll have to give that a shot! Thank you so much! Btw, Azure has Charlie’s Soap, too, now. They started carrying it about the time I switched to making my own powdered laundry soap. I usually bought it straight from charliessoap.com. I never liked rubber pants because they are hot and smelly. I make my own fitted diapers (I sew, so this is no big deal), then upcycle rummage sale wool sweaters into wool diaper covers and wool longies. You wash them in lanolin (Kookaburra Wash from Azure) to make them water resistant. Each sweater will make a diaper cover and the sleeves will make a pair of longies, which we love for pj’s because baby can’t leak around the edges if they get into a weir position at night. We cosleep, and are not into waking up to a wet bed! 🙂 . I’ve diapered 3 kids this way so far, and it has worked well. I just had my fourth child in December and I feel like I am a throwback to a few previous generations but I have cloth diapered all of them with flat cloth diapers, pins and plastic pants. They are hard to find but have found the most luck at Kmart. I have found a few like new cloth diapers with all the snaps at garage sales and feel like these are a luxury. We only use cloth at home but it still saves a lot of money. We have a laundry tub next to the washer and it isn’t a bid deal to wash them out there. I don’t do anything special to them, just use my regular detergent. Love this post. When my daughter was born 2 years ago money was so tight and we were so overwhelmed with all the options of cloth diapering but knew we would not put her in disposables. We bought the Econobum Full Kit from cottonbabies.com. They are prefolds but that was never a problem for us! The kit come with 12 prefold diapers, 3 covers that adjust to baby from newborn until potty training and a travel size wet bag and it’s only $48.95! They have free shipping on all their products and the amazing thing is you get 30 days to use the diapers and if you don’t like them you can return them for a full refund!!! This was a God send for us! I used them daily until this summer when I went to a cloth diaper store and found OsoCozy fitted diapers on sale for $3.00 each!!! They had 9 left and we bought them all. I use my Econobum covers over them and they are amazing! They are only $7.00 each if you buy them new. I have always made my own detergent and used that to wash them. I do my diapers daily and have NEVER had a problem. If there is some reading this and is really tight on money I would recommend the Econobums. If you can spend a little more the we LOVE the fitteds. I have to look into the Alva babies for a dear friend. Thanks for all your information!!! We also use OsoCozy wipes. They are 15 for $7.00 and have lasted for 2 years now being washed daily. I buy these and the fitteds through clothdiaper.com. We don’t use any solution, just warm tap water and it works great! Are the Alva’s a pocket diaper? How do pocket diapers work? Yes, Alvas are a pocket diaper. They have a shell with the waterproof fabric and a pocket sewn in the inside, then they have separate inserts that you stuff in the pocket. You can just use one insert for regular use or double up on the inserts for naps or overnight. You are missing something in your article; wool covers! They are hands down the best! Flats and covers 🙂 For the last couple years I have participated in Dirty Diaper Laundry’s Flats & Handwashing challenge. The first year I handwashed ALL my diapers for an entire MONTH! I doubt it saved a lot for that one month, but added up throughout the year I bet I would have saved quite a bit of money. I don’t do any fancy folds either (unless they are newborn babes), just a simple padfold (check out the Master Flatfold Table at Padded Tush Stats for all the folds you’ll ever need) and lay in a cover. Actually, I use pockets I got used from a friend as covers. I didn’t start cloth diapering until my 2nd was almost old enough to potty train, but now awaiting the birth of my 4th, I am so glad we did. I work fulltime, so right now our 3rd uses disposables during the day for the babysitter and for outings, but cloth at home. Even swapping a few disposables a day for cloth is a big money saver, especially that the older the baby the more expensive each individual disposable diaper becomes. My husband was never real gung-ho on washing poopy diapers, so I found flushable liners that you can lay on top of your inserts. Everything (well, almost everything) lands on the liner and you can just pick it up and flush down the toilet. They are an extra expense if you are really trying to save money, but it is still way cheaper for a roll of those than using disposables all the time. And fabric to make our own. So far I’ve made 5 diaper covers and have enough fabric to make at least 15 covers or pockets. I was wondering if a homemade laundry detergent is safe for cloth diapers. I am researching the switch from disposables to cloth but I make my own detergent. Anyone know if it’s ok to wash cloth diapers with it?? The recipe I use is washing soda, baking soda, oxy clean, and grated bars of Zote soap. I haven’t tried it personally but I know a few people that do use their homemade laundry soap with cloth diapers and have good results. Hello! I CD my 3yo (only nights, now) and will be doing the same for baby #3. In addition, my 7yo step-son uses XL diaper covers + thick flats when he sleeps. I make my own laundry soap – washing soda, Borax and Fels Naptha – and have had no problems. Since my current CD wearers are only peeing in the diapers at night, I just pop the worn ones in with other daily laundry. When a baby is in the house…filling those diapers allllll day…I wash a load of just diapers every two or so days. If they are particularly foul, I include a scoop of enzymes, but otherwise I just hang all of them in the sun and the diapers smell gorgeous when they are dry! Have you thought about the flour sack dish towels at Wal-Mart they are just like the diapers I used 48 years ago for my children. Much cheaper and once you learn to fold for either boy or girl it’s all over but the savings. What we did this time around (unexpected 4th baby after we got rid of all our cloth diapers from the other 3) was to buy large ‘lots’ of cotton flannel or just cotton in general receiving blankets from eBay or Craigslist or by the piece at resale shops/Goodwill/garage sales. On average I paid 50 cents a piece and just fold them when they get out of the dryer or off the line into a “prefold” and stack them on the changing table that way. When I go to diaper baby they are ready to go and with a Snappi and a cheap cover or laid folded inside a cover they work great and dry much faster than the good prefolds. Plus there’s the “recycled” factor. Many of the receiving blankets I bought were destined to be rags if I hadn’t have bought them b/c they had stains or fraying around the edges. That was the cheapest option I could think of with the least amount of work. I could have gone gung-ho and folded them and sewn them into a prefold so most of the absorbency was down the middle but then they’d take longer to dry and they’d always be a diaper for the rest of their life then. Plus, with 4 kids I can’t even find time to mend jeans let alone make 60 or more blankets into prefolds! you forgot prefolds with covers. I got an entire kit (sizes one and two) for three/four days worth of diapers for 177. I supplemented with some hemp inserts at night and voila- I got enough cloth diapers for my baby’s entire diaper phase for under 200. people always seem to overlook the prefolds plus covers, and go for aio, or pocket diapers. these are easy, and I would say, the most economical. I’ve got to say, I disagree with your advice about “china cheapies” like Alvas. Yes, they are cheap, but I know far too many people who invested in those and then spent far too much money because of the poor quality of those diapers. They work for some, but you really are hedging your bets with them as their quality is inconsistent and generally not as good as more reputable brands. I’d rather buy used or stick with quality brand covers and prefolds/flats. You can have an entire new stash (newborn and OS) for less than $300. The link I posted can help provide free cloth diapers to needy families. Having baby number 5, my last birth was 7 years ago, so it feels like a first child again and i dont have anymore of the cloth diapers i used from my previous children. I used a mix of disposables and cloth diapers which my mother sewed for me from rice sacks. Cloth diapering has changed a LOT in the last 7 years, and I finally gave in to the cuteness and rave of modern cloth diapering. While I am now just 6 mos pregnant, i have already bought my modern cloth diaper stash and inserts from the Philippines which roughly equates to only $2 per diaper (with microfiber insert included already!). I am having them shipped here to Australia where I now reside, I spent less than $90 for shipping. All in all I spent about $200 for a stash of 24 cloth diapers with inserts included. It was cloth diapers and rubber pants, complete with diaper pins in our house, too (for 6 kids), and nothing made for a more bulky padded bottom than old-fashioned didies. Wedding ring scratches and a few pin-pricks happened along the way, but all of my kids survived just fine, as did I, who was also raised in the old. Wet-wets and dirties went into the plastic diaper pail, and every 2-3 days a washload of diapers was put through the washing machine, hung on the outdoor clothesline to dry, folded, and reused again and again, baby after baby. Diapers and rubber pants danced and swayed on our backyard clothesline for years, and nothing IMO got the job done better, and as a stay-at-home mom, nothing fit the bill better than good old-fashioned cotton flannelette diapers, diaper pins, and rubber pants.